Daniel Prinz advises small and medium-sized clients as well as financial investors with respect to strategic transaction advice, in the execution of corporate acquisitions and disposals, in the performance of corporate and asset valuations for a variety of events, equity capital raisings as well as in the preparation and validation of business plans. In the course of his professional career Daniel Prinz has advised clients from diverse sectors ranging from small and medium-sized companies to multinationals in over 150 corporate finance projects. As part of his activities for PMC, Daniel Prinz has held the position of interim CFO at a lifestyle beverage company. He was in particular responsible for the capital raising process and the implementation of an investor-oriented financial reporting. By mid-2015 until the end of 2017 Daniel Prinz was on the Supervisory board of a leading German software house specialized in accounting, human resources and controlling software. Since the beginning of 2018 he serves the company as a Board member. Previously Daniel Prinz from 2000 until beginning of 2013 worked at KPMG AG first in its Transaction Services group and later in the Corporate Finance practice in Munich, Hamburg and London. Focus areas of his work in the Transaction Services group were the performance of financial due diligence projects on both, buy side and sell side as well as the preparation of closing accounts. In the Corporate Finance practice Daniel Prinz advised clients in the structuring of corporate financings, the implementation of M&A transactions (acquisitions and disposals), on performing corporate and asset valuations as well as purchase price allocations. 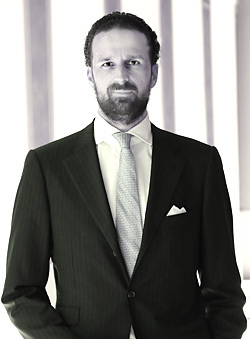 Maximilian Minderjahn advises small and medium-sized clients and financial investors with respect to strategic transaction advice, in the execution of corporate acquisitions and disposals, in the performance of company valuations for a variety of events as well as in the preparation and validation of business plans and analyses of business models. Maximilian Minderjahn has advised in the course of his professional career clients of various industries and size in over 150 corporate finance projects. 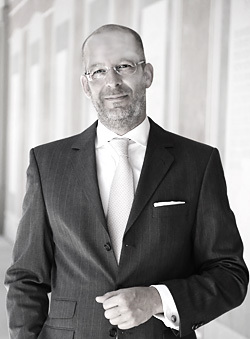 From mid-2013 until mid-2018 Maximilian Minderjahn was on the Advisory Board of a leading German packaging manufacturer. From 2001 to the beginning of 2013 Maximilian Minderjahn worked for KPMG AG, first in the Transaction Services group and later in the Corporate Finance practice in Munich, Frankfurt und Moscow. In the Transaction Services group he worked on financial due diligence projects for mergers as well as acquisitions. In the Corporate Finance group Maximilian Minderjahn advised numerous clients on acquisitions, mergers and disposals, on performing company valuations, the analysis of business models and in the preparation and validation of business plans.